Ogg Vorbis 49MB, MP3 97MB, Flac 388MB, WAV 941MB, BitTorrent. Download: Ogg Vorbis 5MB, MP3 9MB, Flac 20MB, WAV 80MB. Download: Ogg Vorbis 9MB, MP3 18MB, Flac 44MB, WAV 108MB. Download: Ogg Vorbis 7MB, MP3 16MB, Flac 43MB, WAV 103MB. More on Eric Bates here and more on Steven Briand, here. And don’t forget Montréal Complètement Cirque, where you can see Mr. Bates in action as part of Les 7 doigts de la Main‘s performance of Séquence 8 starts tomorrow. From July 5 to July 15 there is a whole slew of things happening circus related that don’t cost a cent. The ones for which I’ve been able to find some kind of video that gives you a sense of what they will be like are below. For the entire time Cirque Carpe Diem will be performing from 2 o’clock to 8 o’clock in the Old Port. 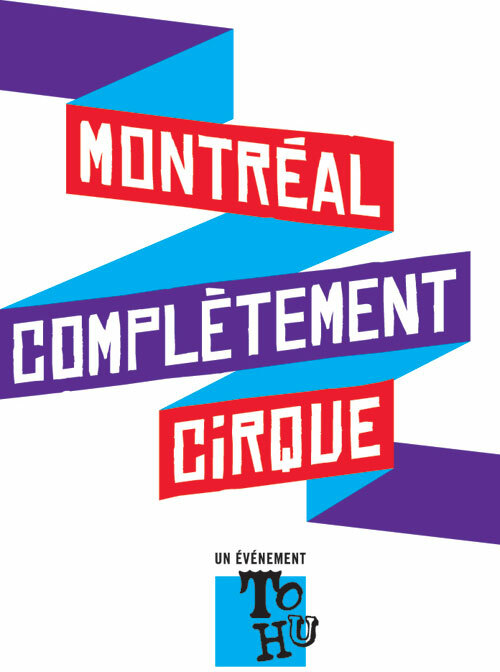 From July 5 to July 8 on Wellington, Parc de l’Honorable-George-O’Reilly and Parc Monseigneur-J.-A.-Richard, Atlas Géocircus, Le Cirque Fantastic, École de cirque de Verdun and Les Clowns de Ménage will be performing (not all at the same time). On July 10 at 10 o’clock Le Troisième Souffle will perform at Parc de Normanville. As well as L’Impro Cirque will be performing at the Olympic Park. Throw 2 Catch will also be preforming on July 8 at 11:30 at Tohu. will be performing with Le Troisième Souffle at Parc Wilfrid-Bastien. From July 11 to July 14 Circo Aereo will be performing Ro-Pu at Usince C. Tickets range in price from $20.25 to $41.25 depending on your age. On July 13, 14 and 15 WHS will be performing Odotustila at Espace Libre. Tickets cost between $20.95 and $30.95 depending on how old you are. On July 10, 11 and 12, Rodrigue “Chocolat” Tremblay will be performing Maestro and Philippe Trépanier will be performing Clip in a double bill the Lion d’Or that will cost you anywhere from $19.95 to $29.95 depending on how old you are.